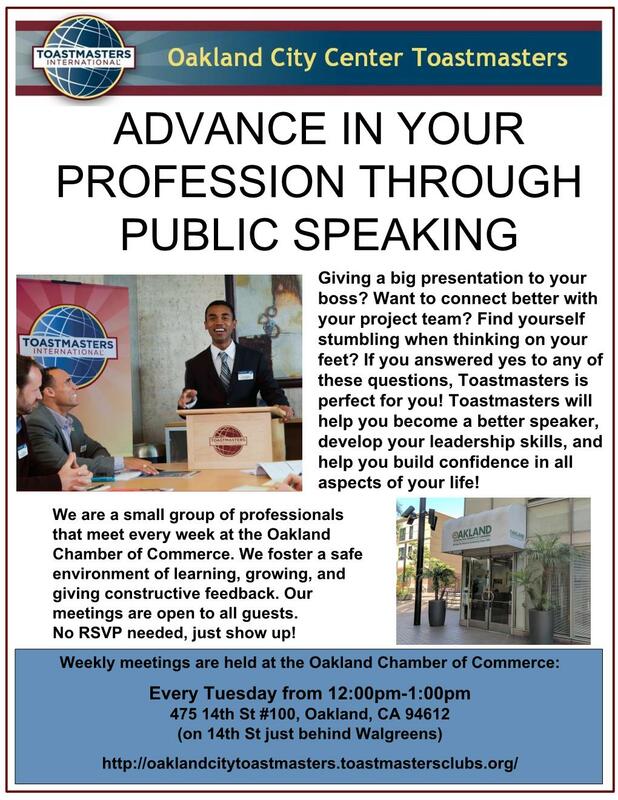 Oakland City Center Toastmasters comprises a group of professionals that meet every week in downtown Oakland to strengthen our communication and leadership skills. Our Toastmasters club can help you strengthen your public speaking through delivering prepared speeches, making impromptu speeches (Table Topics), and giving and receiving helpful feedback from fellow Toastmasters. We meet every Tuesday from 12pm - 1pm ( except holidays) at the Oakland Chamber of Commerce ( behind Walgreens). Guest are welcome at every meeting.